The War Wolf Spirit Figurine is part of the Spirit Wolf Collection. It is highly detailed and fashioned from solid cold cast resin. The hand painted designs on both sides of the Wolf can be felt as well as seen. 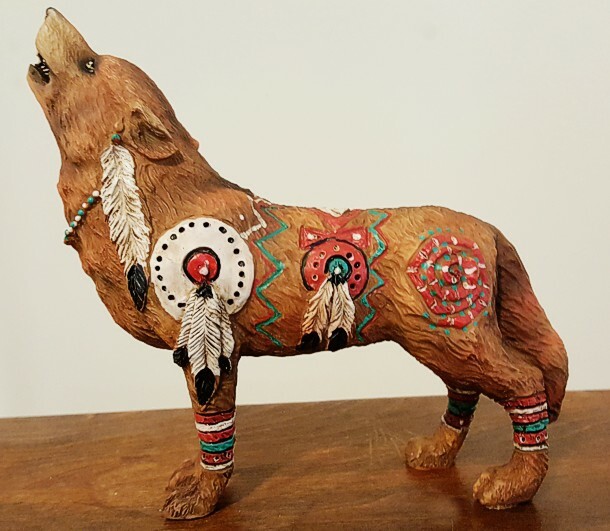 We love the colors, shields and feathers on this Wolf figurine. This would make a great gift for a collector of everything wolf!